In recent years, South Korea accelerated its deployment of renewable energy. However, the energy transition requires some smart decision be made in real time, to balance supply with demand. The South Korean government assigned Jeju, its largest island, as a testing ground for smart grid concepts like battery storage and demand response (for example, using electric vehicles). 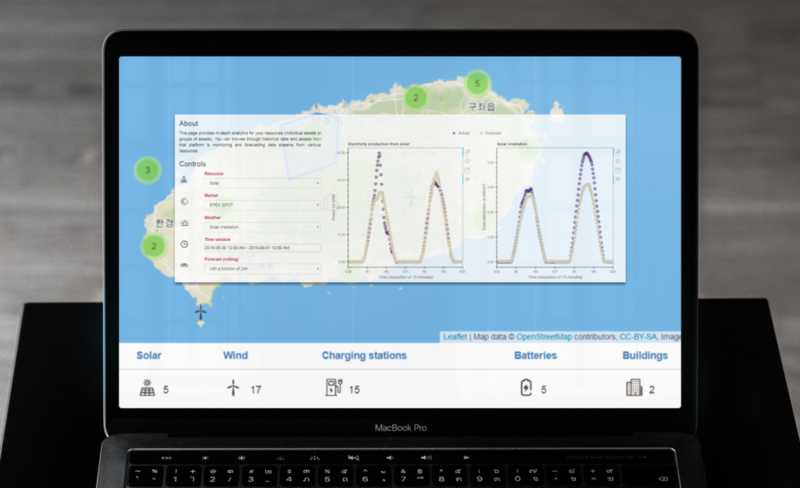 In a project funded by A1 Engineering, Seita, together with A1 Engineering, developed an energy balancing platform for Jeju: a multi-user web application for managing data and scheduling balancing actions for a diverse set of assets on the island. The platform allows energy companies and asset owners to monitor power consumption and production, as well as relevant weather and price data. In addition, the platform uses algorithms for machine learning and control strategies to assist human operators with forecasts and decision-making. We will work together with A1 Engineering in South Korea and possibly with partners in other parts of the world to pilot our energy balancing platform in various circumstances.